Hire our maxi cab Singapore and mini bus and make your Singapore travel and vacations a happy and memorable one. Avoid queuing and waiting at taxi stands for hours just to get from one point to another, wasting precious time and make your vacation more stressful and feeling bad. We offer you convenient and practical transport arrangement so you and your family and friends can enjoy your trips at any time and every time. Hiring our 6 Seater MPV, 7 seater maxi cab or 13 seater minibus would be the most affordable and reliable way to get around Singapore without difficulties. Choosing a maxicab or minibus transportation services whenever you travel to a new country or a city on vacation is not as simple as you think. Despite the many choices that you may have, getting the right transport that suit your travel needs would always be difficult. Especially for those who are not a regular traveller and not used to travelling with a larger group of people, and those with tight budget. Check maxi cab mini bus rates here. Some transportation companies either offer rates that are too high for your budget, or the vehicle that they provide are too small, too old or maybe too big. Just be cautious, that many smaller operators will offer very cheap price but more often than not they use unregistered car and the vehicle not covered by necessary insurance to travel in and out of Singapore. You have to do your due diligence before going for the cheapest offer you can get. You will never experience this situation if you choose our Maxi Cab and Mini bus services. The company will ensure that you receive a high level of service upon your arrival at the Changi Airport when you book our maxicab airport transfer service. We can also bring you around for city tour or sightseeing tour to the best tourist attractions with our 7 seater maxi cab or 13-seater mini bus. Every thing is already pre arranged for you and our drivers will be there ready to serve you and take you to any where you want. This will definitely save you valuable time for your your vacations and money and make your stay more enjoyable and memorable. We charge flat rate so you can plan your budget and never be surprised by any hidden cost or expensive taxi meter rates, so you can also enjoy a worry free and cost effective vacation. You can check out our affordable and reasonable hourly and daily booking rates and our one way or two-way transfer rates. We don’t charge ERP tolls & advance booking fee , however credit card charges may apply. The company’s rates are more affordable compared to other Singapore airport transfer service providers. 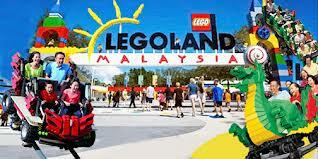 We also provide transfer to Malaysia and LegoLand and other interesting attractions and hot spots. You can charter our services to Malaysia while you are travelling in Singapore for that extra treats to your family. Book our Maxi Cab and Mini bus services now and we guarantee you will not be disappointed. In fact you will enjoy you vacation more, safe more and doing your entire family a favour with a stress free, a well planned and a well deserved vacations.